Providing a comprehensive approach to your lifting services. cranes to help you with your lifting needs. pickup trucks, flat trailers, lowbed trailers, and boom Trucks. different oil fields and other CICPA registered areas. multiple packing options to grow their business. Cactus General Transport is a leading provider of logistics transportation and heavy equipment rental services. Cactus Transport prides itself on service and competitive pricing. We are an organization that will listen to its clients and provide them with customized solutions to meet the challenges of their daily equipment rental needs. We have more options in the range of machinery that is offered and our equipments serve many industries such as construction, Events, Manufacturing, Oil & Gas field and Marine Industry. Our staff has the experience to resolve problems and help with difficult situations making us a reliable partner for the growth of your business. We look forward to working with you and helping you with your business. 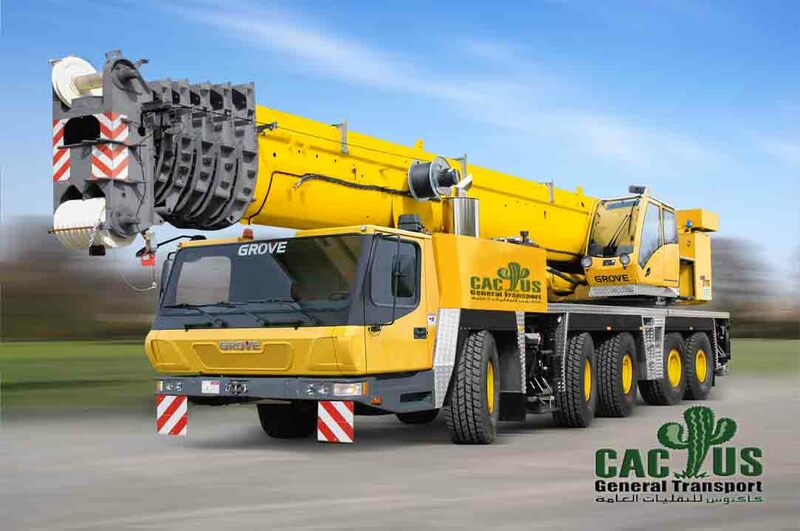 To be the leading transportation and heavy equipment rental company in the UAE. We will achieve this by focusing on client specific needs, cost effective rates, quality of service, timely delivery of equipment, and by holding the highest morals and ethics within our industry. We have access to all equipments related to heavy machinery. Our clients can have the peace of mind of knowing that they can rely on one company for most of their needs. Our team of professional will help you choose the right equipment and timely deliver it so that you can have peace of mind.